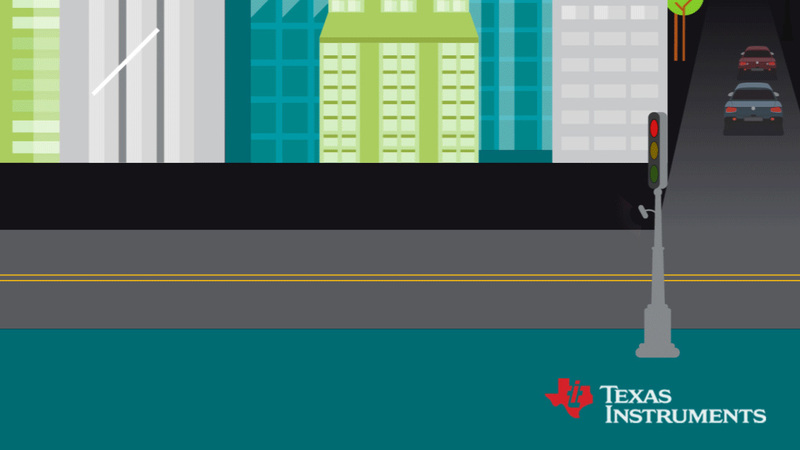 DALLAS (May 16, 2017)– Texas Instruments (TI) (NASDAQ: TXN) is bringing an unprecedented degree of precision and intelligence to a range of applications spanning the automotive, factory and building automation, and medical markets. TI’s new millimeter wave (mmWave) single-chip complementary metal-oxide semiconductor (CMOS) portfolio includes five solutions across two families of 76- to 81-GHz sensors with a complete end-to-end development platform. 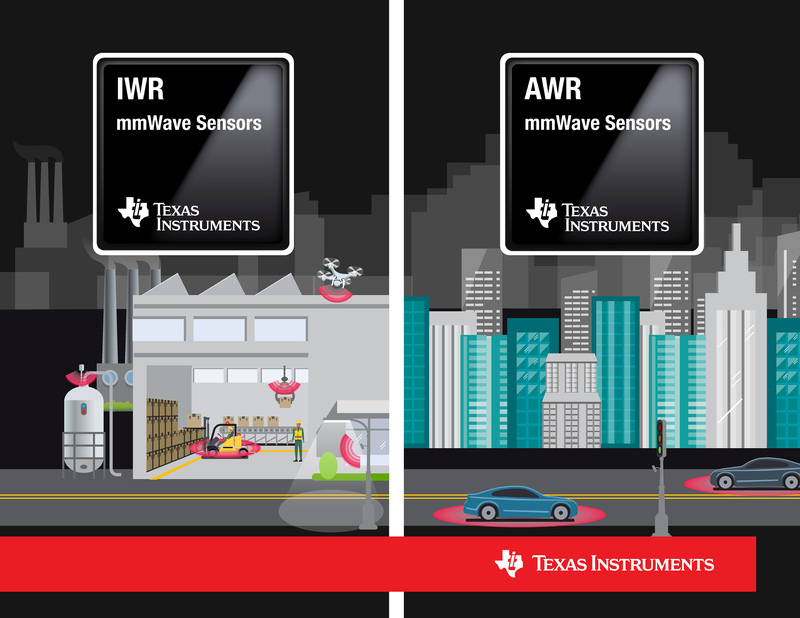 Available for sampling today, the AWR1x and IWR1x sensor portfolio delivers up to three times more accurate sensing than current mmWave solutions on the market. The combination of sophisticated analog design techniques paired with digital signal processing enables designers to implement intelligent and contactless sensing in their systems. For more information, see www.ti.com/mmwave-pr. 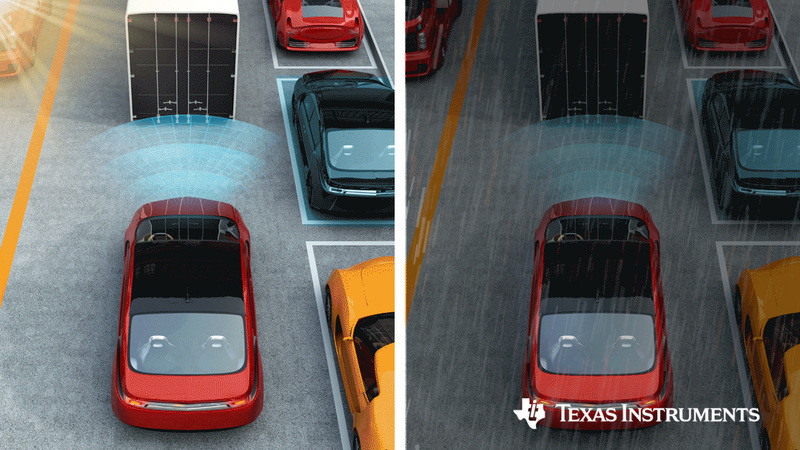 See this technology in action at 10:00 a.m. CST on May 16 with Facebook Live. 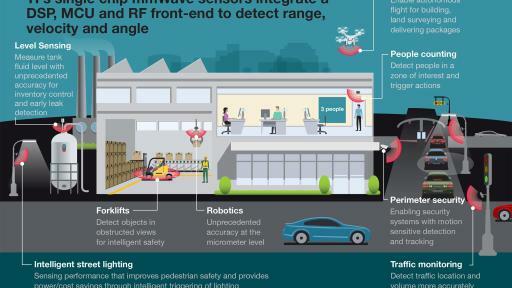 Traditionally, developers have encountered obstacles while creating Society of Automotive Engineers (SAE) International Level 2 and above functionality in vehicles, with sensor size and power a particular hindrance. 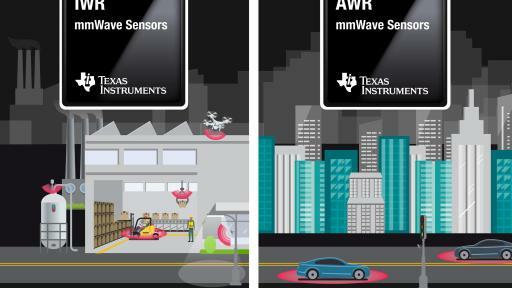 TI’s AWR1x mmWave portfolio allows developers to meet these requirements through built-in quality standards, unprecedented precision in a small form factor and low-power envelope, all while enabling a low-cost implementation. Designers can not only enhance advanced driver assistance systems (ADAS) and autonomous driving safety features— including ISO 26262 which enables Automotive safety integrity level (ASIL)-B— but also deliver new features such as automated parking assistance, pedestrian detection, and occupancy and driver monitoring. 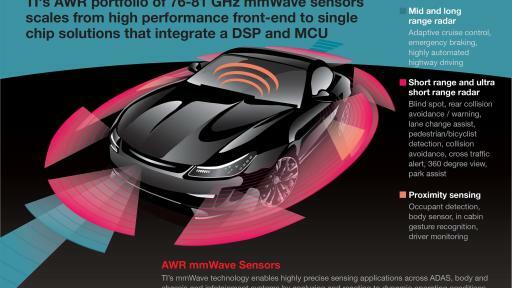 To learn more about TI’s automotive mmWave portfolio, see www.ti.com/awr. 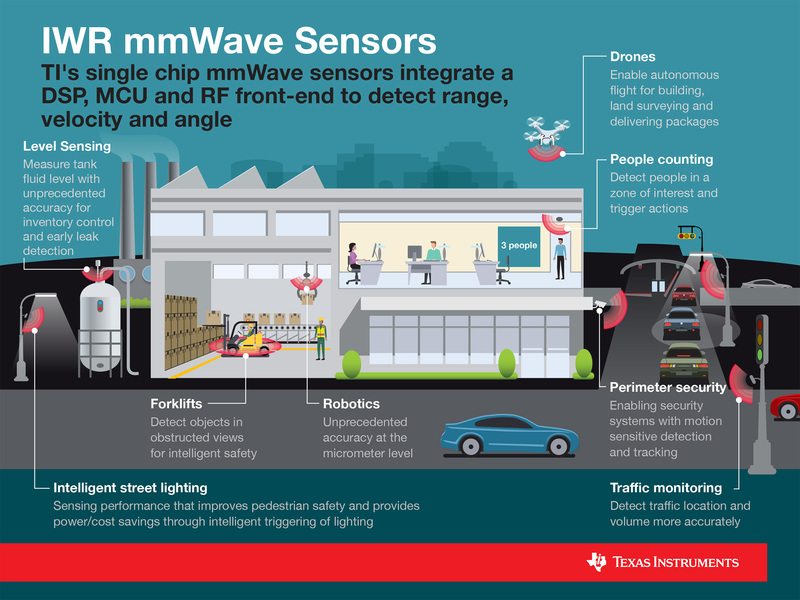 Servicing the need for improved efficiency in factory, building automation systems and smart infrastructure, developers are now able to leverage TI’s intelligent and robust portfolio of mmWave sensors. In addition, this sensing technology can be used to transform existing capabilities in growing areas such as medical equipment, tank-level sensing, robotic vision and drones. TI’s IWR1x mmWave contactless sensors can be used in environments without interference from lighting, rain, dust, fog or frost, making them uniquely robust indoors or outdoors. 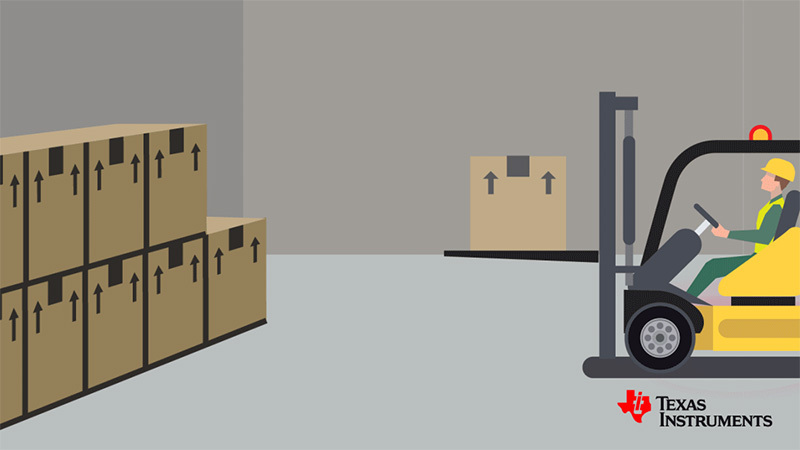 By determining the range, velocity and angle of objects around the equipment, the sensors can adapt to dynamic scenarios instantaneously. Learn more about TI’s industrial mmWave portfolio by visiting www.ti.com/iwr. Developers can get started immediately with AWR1x and IWR1x – evaluation modules (EVMs) and samples available through the TI store and authorized distributors. The AWR1x and IWR1x EVMs are available for US$299.00. 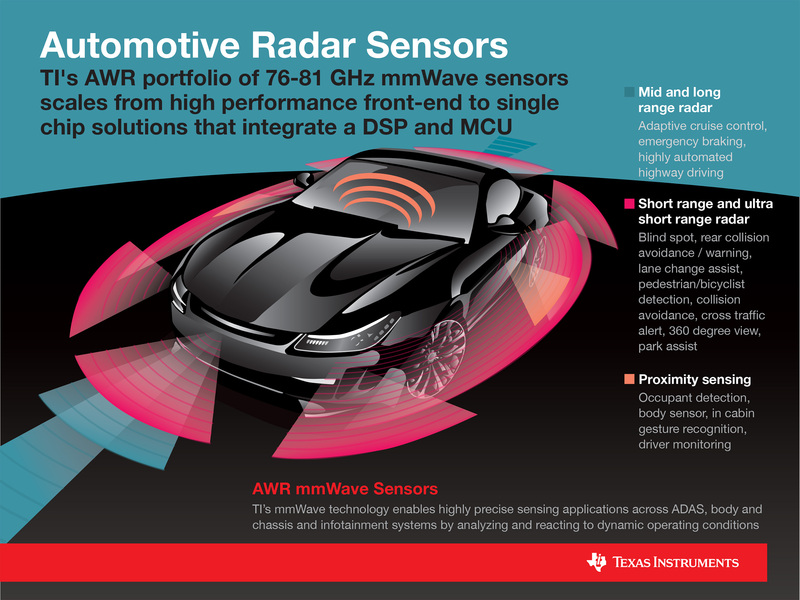 Learn more about the mmWave portfolio. Search the TI Design reference design library for an automotive and industrial design.